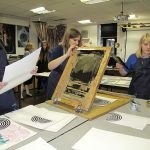 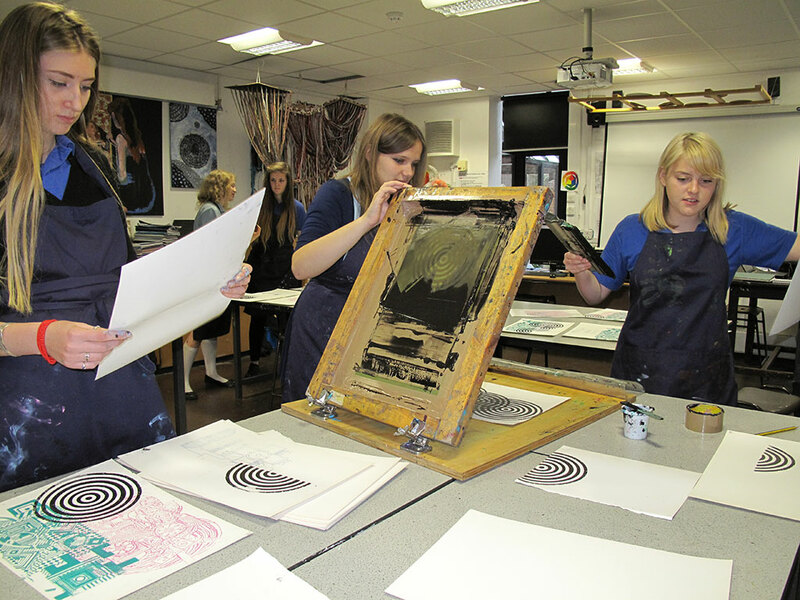 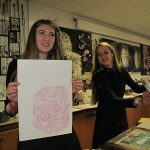 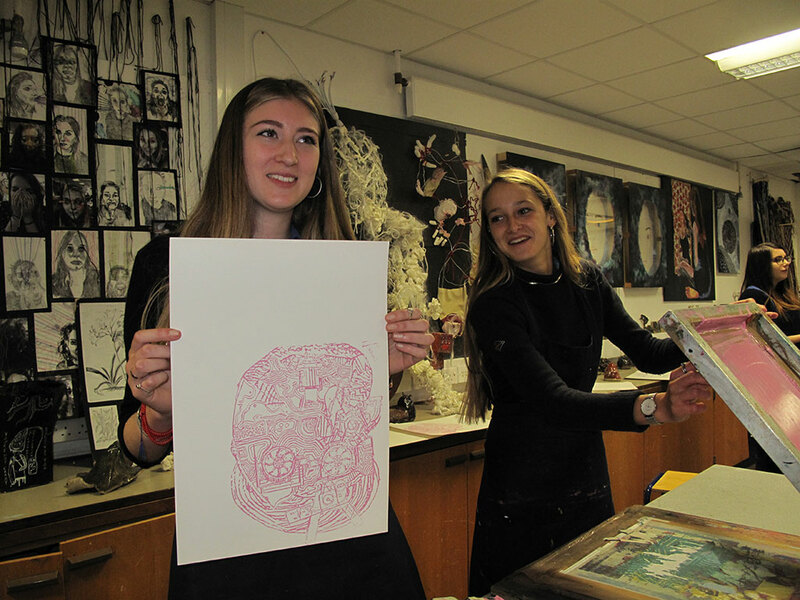 Sponsored by the Arts Council the 6th form Artists were treated to two workshops linked to the Eduardo Paolozzi exhibition at the Thelma Hulbert gallery in Honiton. 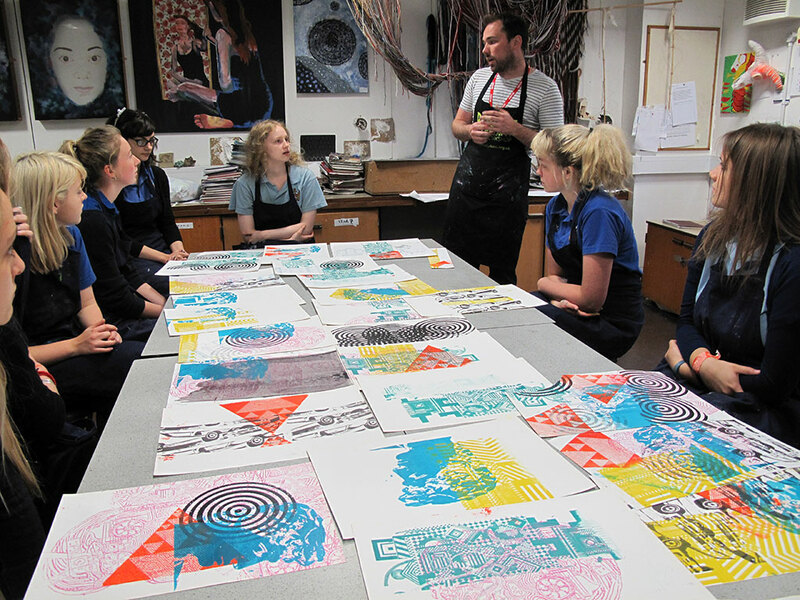 Visiting the exhibition the students saw a selection of his screen prints made in the 60s and then had two practical exercises based on his work in the gallery. 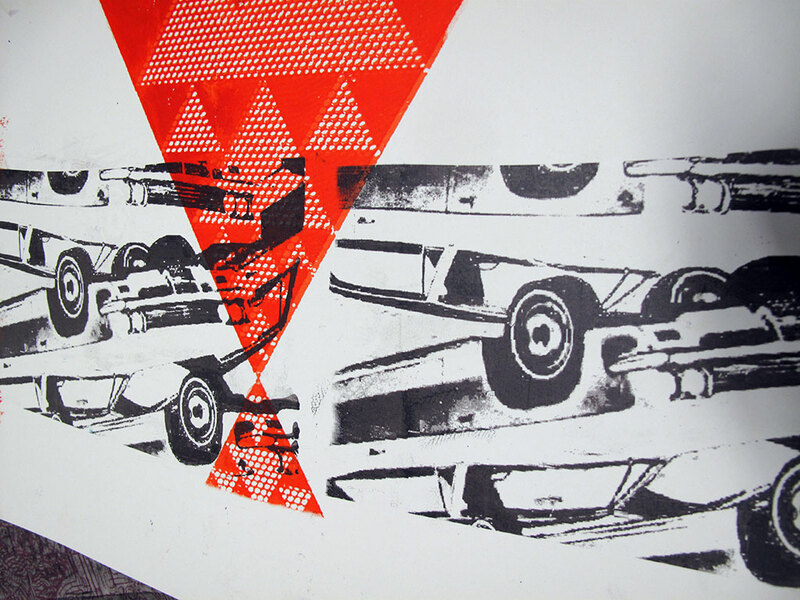 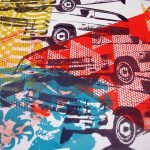 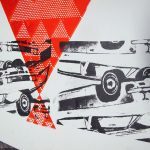 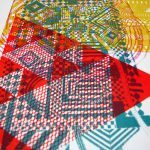 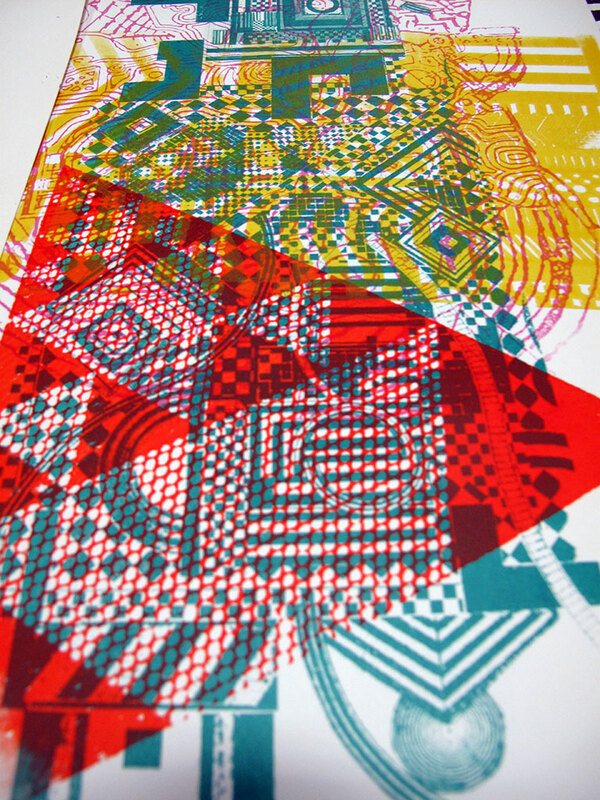 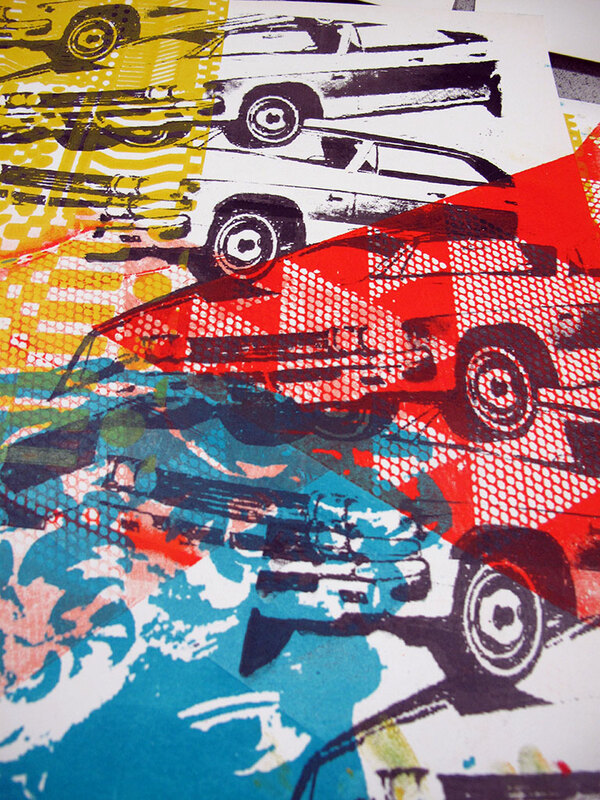 A week later we had a further workshop in screenprinting run by Double Elephant printmakers, Exeter during which the students produced copious prints using photo stencils of Paolozzi’s designs.